Last fall, my husband and I traveled to the UK. It was an amazing trip, without kids. Of course, first on my mind—well, aside from the amazing sights, food and international travel with my sweetie—was what knitting project I would bring with me. For the flight, I bought cheap bamboo needles (BLECH) and planned to knit socks*. But I also packed a project in my checked baggage on my beloved Knit Picks options (because who takes just one project on an international trip?). Something a little larger that would be an easy pick up/put down project. Stephen West’s Boneyard Shawl was my choice for this trip. 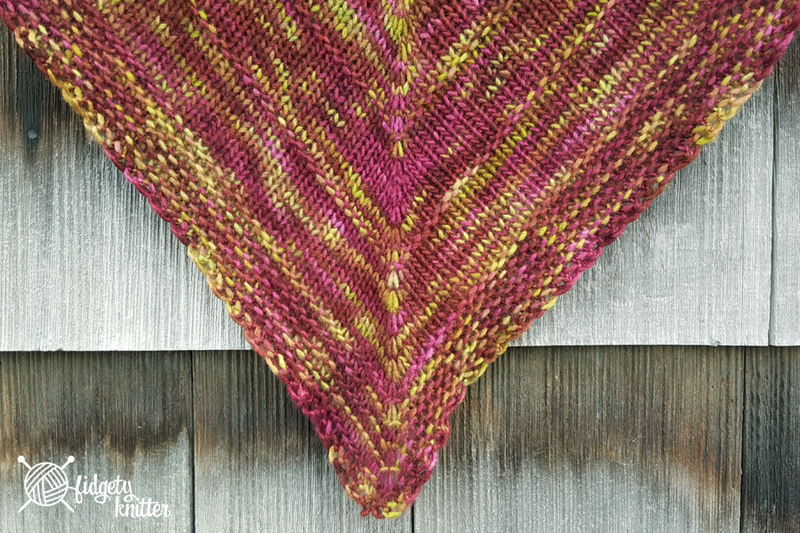 I’ve had this shawl in my pattern waiting list for a long time. This shawl is indeed simple. Knit, purl, increase in some order until the shawl is the size you want. I could put this down and pick it up with ease. We traveled by public transportation for the entire trip and this was a great knit for the long train rides and waiting in stations. And, as with many of my projects, this is knit in my beloved Malabrigo (worsted). I love their yarn so much and that love only got deeper when the owner of my local shop mentioned that they are truly nice people to work with. Their worsted is a beautiful yarn to work with. Soft, lofty and the colors are beautiful. For the Boneyard Shawl I blocked this pretty aggressively. I’ve found when I do that with Malabrigo worsted it loses some of its fluffiness. It’s still soft and still lofty, but not quite as soft or quite as lofty. However, there is no denying these colors are just lovely. I did give this shawl away. While the colors are lovely, they’re not ones I would wear. Maybe I should have kept it as a souvenir of my trip, but maybe the recipient will appreciate the international hug when she wears it. I hope she gets many years of warmth. 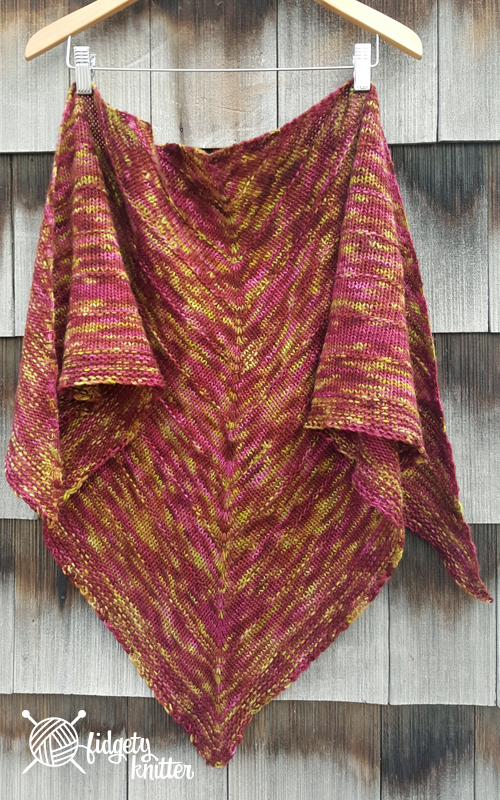 I love the way this shawl turned out. I would definitely knit this shawl again. Very easy, but interesting. Great project for a new knitter. I’d like to see it with stripes or color changing. I used a US 10 and two skeins of the Malabrigo. Have you knit anything fun on long trip? Share pictures and links in the comments below! *These socks were eventually frogged. They knit tight and small on the stupid bamboos. Then I tried a second time on my regular needles. And they weren’t right. So the yarn is on the shelf in time out for now. I’ll check back next year.